I don’t normally like talking about things before I’ve finished them, mostly because I’m paranoid, but I think I need to work past that. Getting word out is part of the writing process, so that’s something I need to get better at. The underworld is a cold, dark place where ash falls like snow and there’s always an itch you just can’t scratch. In the distance loom seven chimneys, visible no matter where you are, like giant watchful obelisks. Two lost souls learn there’s a way out of the underworld by climbing up through one of its chimneys, but you can’t just walk up to them. Distance isn’t physical here, and progress is made by learning. As Six and Seven search for clues to remind them who they were and how they got here, the chimneys draw closer, but knowledge comes with a terrible price. 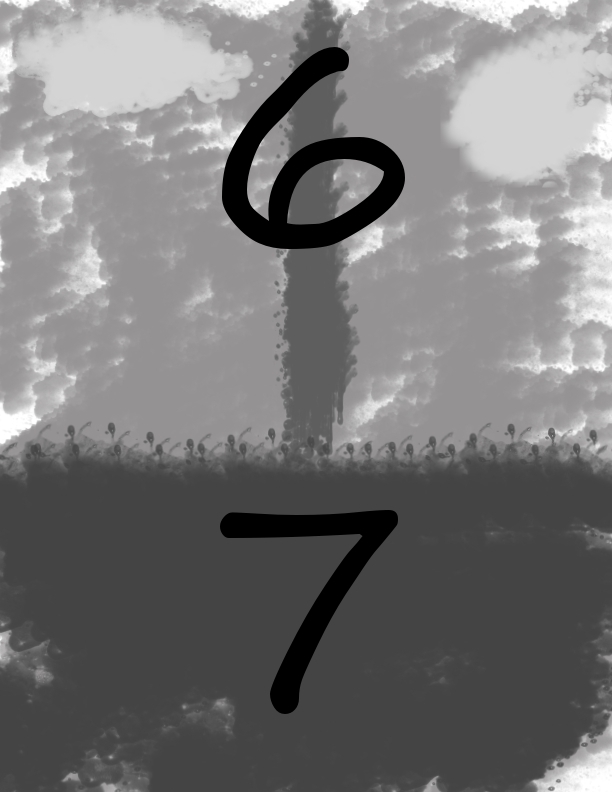 Keeping in line with this dark place’s dark humor, it’s a price Six and Seven might not be able to pay. Besides working on the novel, I’m hoping to throw together more artwork like what you see up there. I know it probably won’t be included if this thing ever gets published (authors rarely get much say) but sometimes drawing helps inspire me (even though I’m really bad at it) and I have a lot of ideas for related artwork. I’m still debating whether to post excerpts. I’ll probably post a sentence or two daily on my facebook page, which you should see a link to either on the sidebar or below this post. So what are you working on? Let me know in the comments, and good luck!